Photo: Richard Lane..Australia v England. Rugby World Cup Final, at the Telstra Stadium, Sydney. RWC 2003. 22/11/2003. 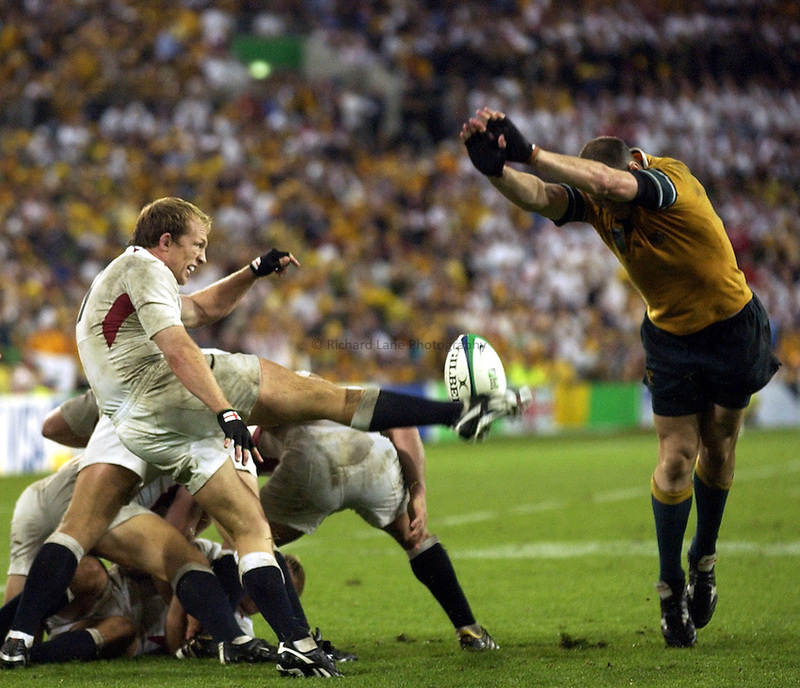 .Matt Dawson kicks clear as Srirling Mortlock attempts a charge down.